Find “One of a kind” handmade silk on silk only here. 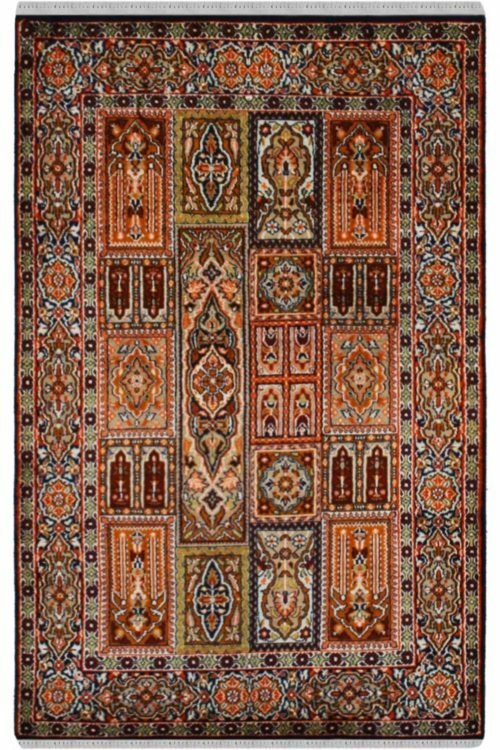 Yak Carpet provides high quality product and unique design pattern. 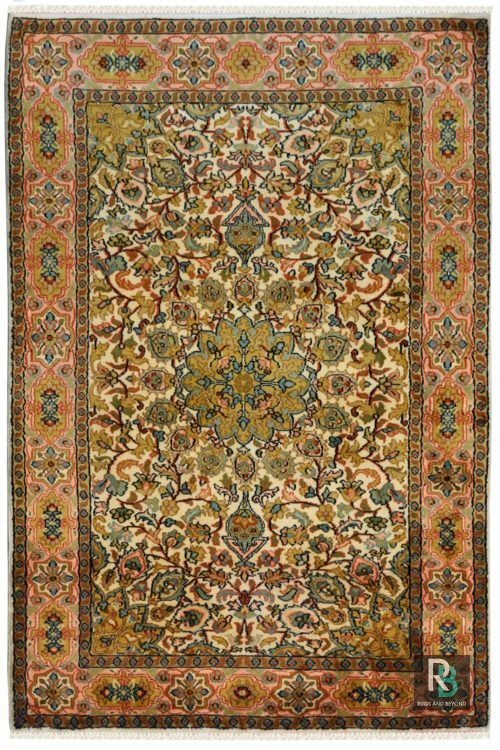 This carpet is woven in traditional pattern which is called Tree of life. 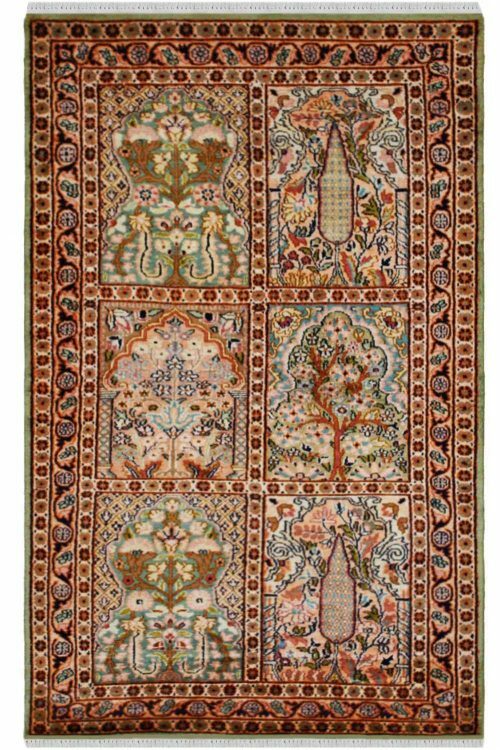 Decorate your home with this beautiful handmade silk on silk carpet which is handcrafted by our talented weavers in India. 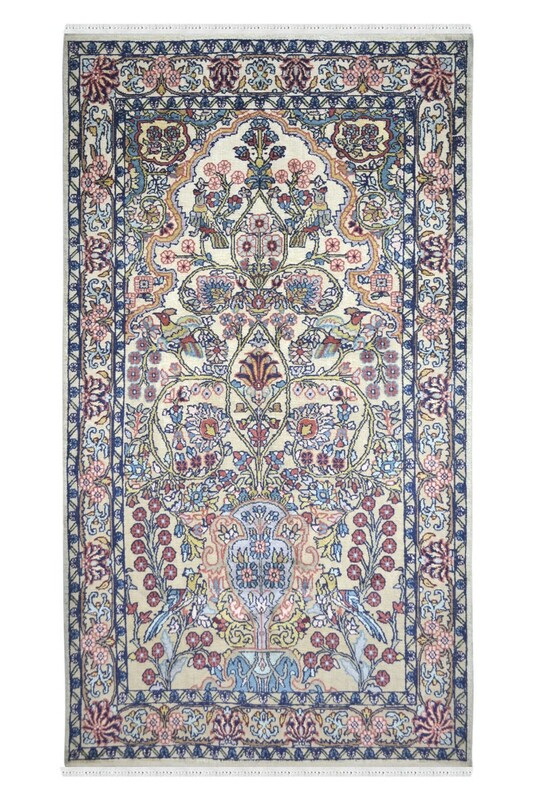 It contains a tree of life style in and the ground is filled with small and tiny motifs of flowers. 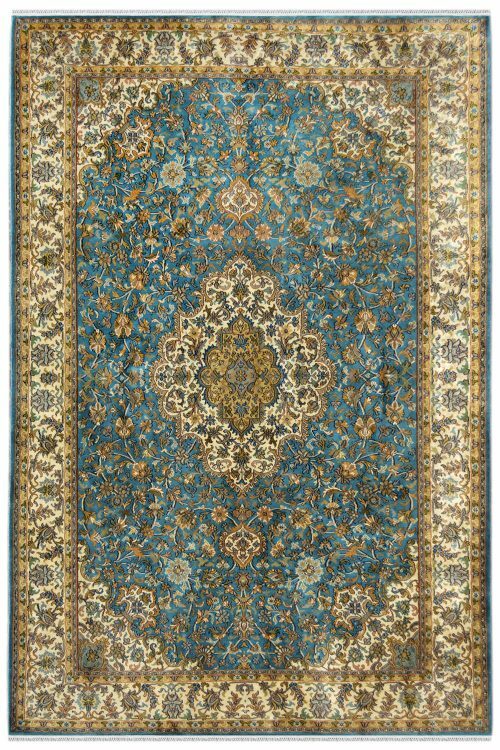 It has more than 324 knots/ inch and this is silk on cotton rug.